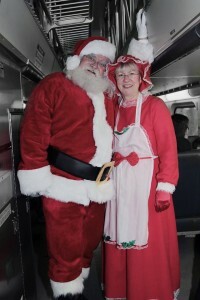 Santa and Mrs. Claus are looking forward to another great season. We will be returning to a number of our events from last year as well as to some new partnerships. Mrs. Claus and I are hoping to continue your traditions and start new ones. To everyone we meet we want to bring joy, happiness and the true spirit of Christmas to you and yours. To the companies, organizations, and friends old and new that have included us in their events in 2015, we would like to wish you a Very Merry Christmas and a Happy and Health New Year in 2016. The real Santa lived a long time ago in a place called Asia Minor. It is now the country of Turkey. His name was Nicholas. The following was written by Mahleah Chicetawn in 2011. She makes some really strong points on why it’s important, not only for kids to believe in Santa, but for us to hold on too. 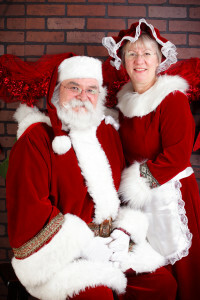 I would like to recommend Mr. and Mrs. Hildreth as Santa and Mrs. Claus. 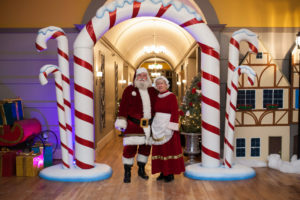 I am a Life Enrichment Director for an Independent Senior Residence and have had the opportunity to personally experience Santa and Mrs. Claus. The joy they have brought to our seniors, families and community is unfounded. I continually have requests throughout the year to make sure I have the Hildreth’s back for Christmas. They are jolly, kindhearted and he sports a real “Santa” beard. Our Christmas at the Square event is an annual event, that the Hildreth’s have participated in for two years now and have they have found a special place in our hearts and our event would not be the same without them. If you are looking for a Santa and Mrs. Claus, please look no further. You have found them. 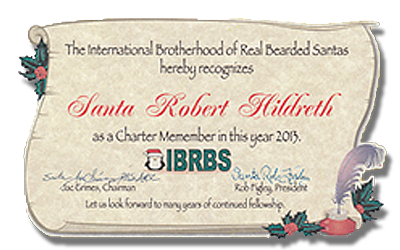 I would like to recommend Robert Hildreth as a candidate for Santa Claus for your organization. Robert has provided the Blue Island Park District with his services since 2011 and will continue as long as he is made available. Robert has excelled in the position of Santa Claus and is a great asset to all our Christmas themed events. He is excellent at communicating with the children and even more so with adults. His background with children and administration has given him a keen ability to improvise in his role for any situation presented to him. His ability to transform into a truly convincing Santa Claus is beyond words. Robert has always been professional, polite, and timely. His rapport with the public is superb and is always an asset to our Christmas programs. 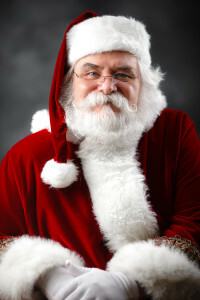 He will be an asset to your organization in and out of his role as Santa Clause, therefore I recommend him for any endeavor he chooses to pursue.